Imagine starting your morning routine with a rinse in a brand new shower, complete with all the accessories and details you could want. With a Bathwraps replacement shower from U.S. Patio Systems, you can trade your out-of-date shower system for one that’s sleek, modern and easy to keep clean. Let us help you find the right option for you. Bathwraps replacement showers are custom-built, so you can customize the look and feel from top to bottom. Choose the shower type you prefer—we have low-barrier and barrier-free options for easy entry and exit, as well as seated options for added convenience. And in case your current bathroom has a tub only, we also offer tub to shower conversions that utilize the space you have. 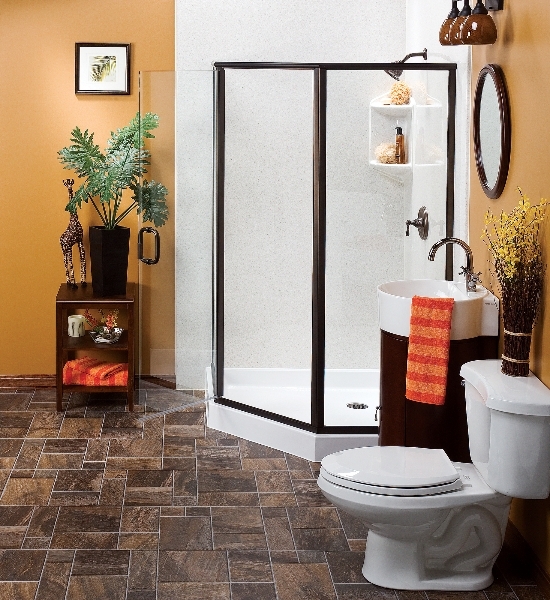 Choose from a variety of colors and patterns to match your new shower with the rest of the room, and include extras like foot pedestals, grab bars and more. Made from 100 percent acrylic, your new shower will not only be mold- and mildew-resistant, it will be built to last. For more information on how we can help customize a replacement shower for you, please contact U.S. Patio Systems today! In addition to replacement showers, we also offer replacement tubs, tub liners and much, much more.